The AAZK Trees for You and Me Program promotes reduction of carbon emissions through education, fundraising, and support for reforestation efforts. The AAZK Trees for You and Me Program will mitigate the effects of climate change, through support of the TFYM grant recipients. What is “Trees for You & Me”? Did you know you could plant trees for polar bears? Trees for You and Me is a tree-planting conservation program created through a partnership between the American Association of Zoo Keepers (AAZK) and Polar Bears International (PBI). Both organizations recognize a mutual passion in combating climate change and reaching to communities to aid in sustainability initiatives. Trees for You and Me was founded by former PBI Arctic Ambassadors from the zoo community who wished to initiate a fundraising challenge to plant trees. Funds raised by local AAZK chapters and other conservationists from the communities are used in an annual granting program aimed to provide funding for tree-planting to areas of the world that have been devastated by deforestation. How does the Trees for You and Me Grant work? 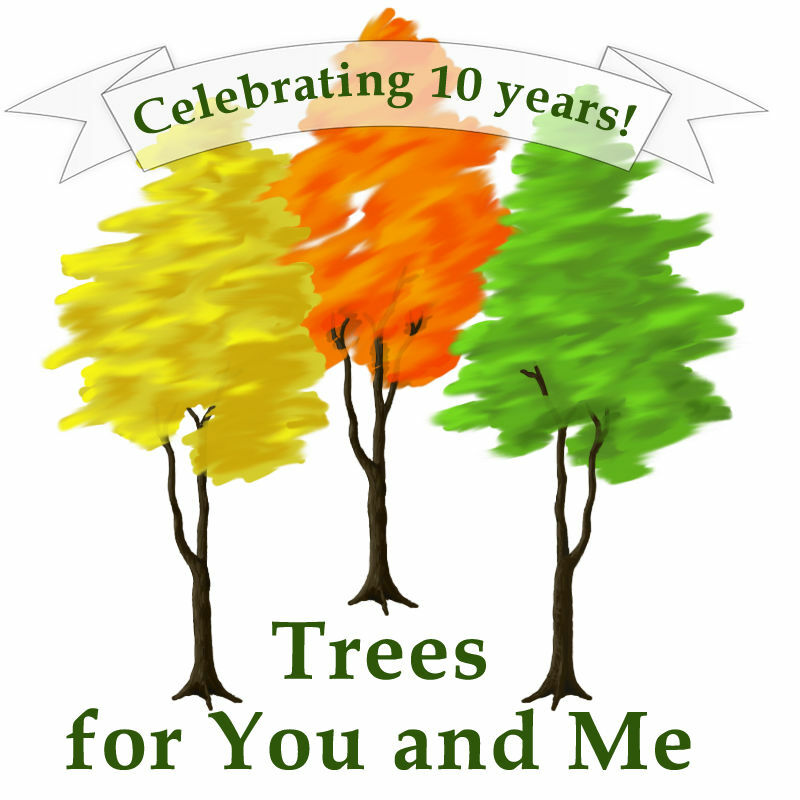 The Trees for You and Me Grant is a forest-based carbon offset grant with funds generated by AAZK chapters hosting Trees for You and Me fundraising events! This grant furthers AAZK’s and PBI’s quest to fight climate change by asking for grant applicants that will use it for reforestation and habitat revitalization. Local AAZK Chapters can host events to raise funds for Trees for You and Me. The funds raised will go towards the Trees for You and Me Grant administered through the American Association of Zoo Keepers called the Trees for You and Me Grant. Any community that has faced deforestation on a large scale from a natural disaster is invited to apply. Any US or international non-profit proposing a reforestation project is invited to apply. The application for the Trees for You and Me grant is due by November 15 of each calendar year and will be awarded to the recipient of the Trees for You and Me grant by the end of each calendar year. The Trees for You and Me Program is comprised of zoo professionals that are passionate about climate change mitigation and habitat restoration. 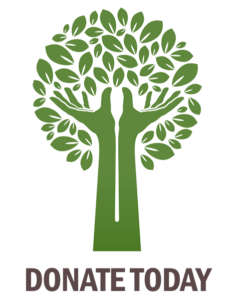 The Trees for You and Me Program team will review grant applications and send a letter of recommendation to the AAZK Grant Committee for applicants that meet all grant requirements. The AAZK Grant Committee will then review the applications submitted to them and make the final decision for awarding funds. 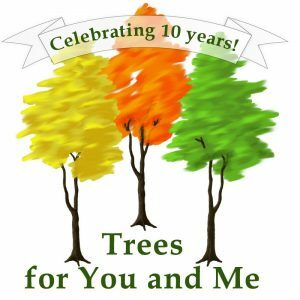 Trees for You and Me’s 2019 AAZK Chapter fundraising goal is $30,000. All money raised will go towards the Trees for You and Me Grant, which funds sustainability initiatives. AAZK will send communications about the Trees for You and Me via social media in an effort to reach out to AAZK chapters throughout the Campaign. Chapters will report their results to AAZK; periodic e-mails from AAZK will announce the standings. Chapters may follow the progress and results on the AAZK and PBI websites. When will Trees For You & Me start? When will Trees For You & Me end? The Campaign will end at midnight on November 1 of each calendar year, during Polar Bear Week. Results will be reported shortly thereafter after all the donations have been recorded by AAZK. It is very important that in the memo line of the check it is noted Donation – TFYM Results will be reported by December 1 of each calendar year when all the donations have been recorded by AAZK. How can chapters raise and gather campaign funds? Each AAZK chapter can determine the way they want to raise money. Projects in the past have included bake sales, polar plunges, miniature golf events, garage sales, silent auctions, fun runs, spaghetti dinners, car washes, recycling programs, a night at a local hangout that allows a 50/50 raffle, and more. The actual cash handling procedures will be the same you follow for other campaigns for your Chapter at your institution. Your fundraising efforts can include an educational event that invites others to take part in additional conservation behaviors that reduce their carbon footprint. Planting trees in urban areas has distinct benefits, but the most important is that it brings people together with a green activity. Community engagement – citizens working collaboratively, through inspired action and learning, to create and realize bold visions for their common future – is a critical step in creating movement to stop our dependence on fossil fuels and stop climate change. There is a donation page for Trees You and Me on the AAZK Home Page so individual donations to Trees for You and Me will be credited to AAZK Chapter totals. We invite chapters to donate during the TREEBLITZ period from February 1 – April 1. PBI loves people who help to plant trees and save polar bears, so they most certainly show their gratitude! The chapter that donates the most during this time will be matched by PBI up to $500! AAZK will report on the status of the different chapters through an email sent to the AAZK Chapters, on its website and through social media after April 1. PBI will report on the status of the different chapters on its website and through social media. The top chapter will be awarded to the team with the most TFYM funds donated to AAZK by midnight April 1. Polar Bears win? How do I start? Find a group and become a champion. Reporting to AAZK during the course of the Challenge. Each participating AAZK Chapter is responsible for following National AAZK National’s requirements for reporting on funds raised for conservation as outlined in the re-chartering packet. How Does Planting Trees Help Polar Bears? Polar bears are in trouble because the increasing amount of greenhouse gases in the atmosphere is causing the Earth’s temperature to rise at an alarming rate. Melting sea ice from these warming conditions is a direct threat to polar bears that depend upon the ice to hunt, breed, and den. Reducing the build-up of carbon in the atmosphere is necessary to reverse climate change. Less carbon in the atmosphere means better conditions to retain arctic sea ice and improve polar bear habitat and survival. Trees act as “carbon sinks” that absorb CO2 from the air. They store this carbon in roots, trunks, stems, and leaves while they grow and in wood products after they’re harvested.